Note :- If you get errors when installing the hack, It might be because you have previous Hay Day hacks installed.Go to cydia &gt; installed tap &gt; find the Hay Day hack packages and remove them. Now try again and install the new deb. 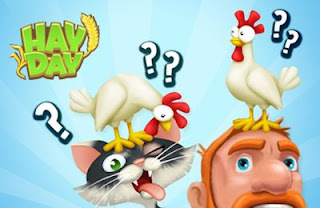 Celebrate Hay Day’s 3rd birthday with another EGGcellent update! Yaaay! • Party in style with an exclusive Birthday decoration, available only during the special event! • Summer has returned to Hay Day with exclusive decorations and charming summer outfits for your farm animals. Sweet shades, Cow! • Welcome the latest cuties: hound puppy and tuxedo kitten. • New pasta kitchen production building: prepare delicious lasagna, gnocchi and lobster pasta! • New in-game events: Stay tuned for double XP and serving town visitors! • Fresh derby tasks: produce products, feed farm animals and help fellow players. • Introducing the personal inbox for important developer messages. • New decorations: customize your farm with ditch &amp; trail tiles, or a super-fly pink scooter. And for farmer’s levels 100 and up: receive a unique decoration as a thank you for your dedication. • Improved neighborhood search: more info on where your friends are. Choose the best neighborhood for you and your farm. • Neighborhood &amp; derby unlock level decreased to level 18. • New and improved animations for Tom. • Neighborhood &amp; Derby tweaks, with general bug fixes.